I'm pretty sure the world and its sister now use hair oils regularly and I am no exception. 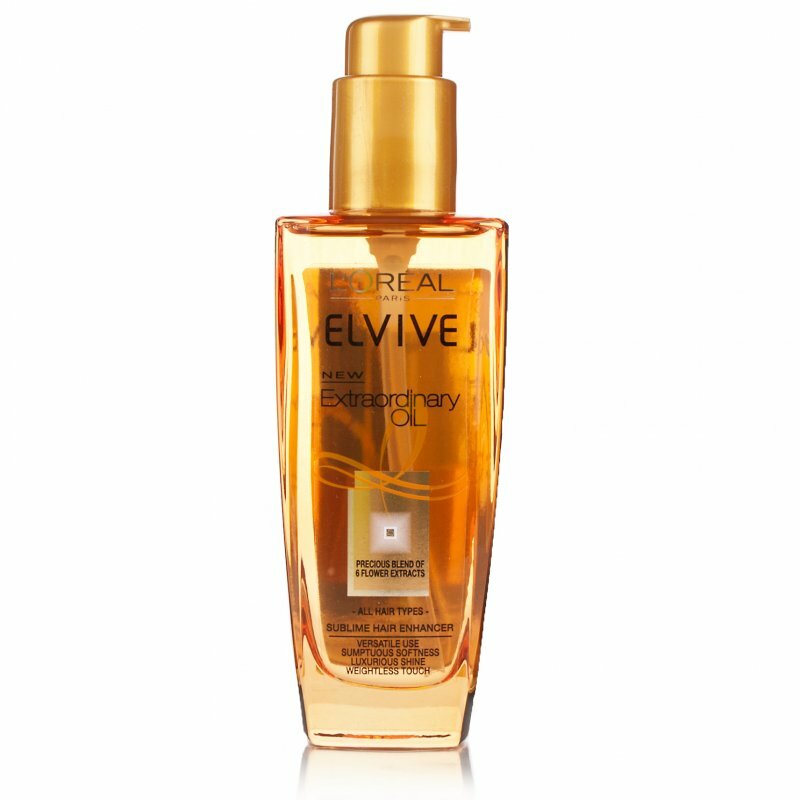 Ever since I bought the VO5 Miracle Concentrate Elixir hair oil waaay back I have used it every time I've washed my hair, with no exceptions. I'd damaged and dried out my ends by bleaching them for the ombre look so just wanted something to add a bit of moisture and protect them from further damage. Fast forward and I've since chopped off most of the ombre, but am still religiously using hair oil to keep my ends soft and nourished, as long hair often equals frazzled ends. Being the fickle creature that I am, I thought I'd jump ship once my VO5 had run out and whatever else my local Boots had to offer me. I picked up this L'Oreal Extraordinary Oil for two main reasons. The glass bottle felt luxurious to me and the pump action is handy/less messy than the pipette in the VO5 one. I use two pumps of this on the ends and mid-lengths of my hair after I've washed it and then either blowdry or leave to dry naturally. It is good, and it is definitely better than not using an oil at all. But I'm just not sure it's as good as the VO5 which seemed to make my ends softer. I also don't like the smell of this at all, although that may just be me as most people seem to quite like it. Either way, the smell disappears once the product's absorbed anyway. I also prefer the consistency of the VO5 oil. More substance, less runny. What L'Oreal does have over VO5 though is the convenience of the packaging, and that may just win me over. For now. (In terms of price you don't lost out either way, as L'Oreal is double the price for double the product. If anyone's looking to try this out though I think it's currently on offer for around £7 in Boots. Sod's law that I bought mine the day before the offer began). One more thing: Can anyone persuade me that Moroccan Oil is worth the hefty price tag or am i just as well of using a high street hair oil? I want to give it a go, but I suspect I might as well save my pennies for something else.